What we have done is actually quite simple, we made valve guides that fit properly, are easier to install, and shaped to help air flow instead of just copying the OEM design. 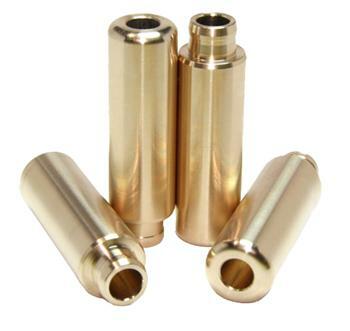 The GSC Power-Division valve guides are made from true C67410 Manganese Bronze and turned on a dedicated precision CNC turning center. What this means for you and your installer is less time fitting guides to the head due to holding the tightest tolerances in the industry with the best quality control possible.